Aristotle, Robots and Osborne Merlin Goldman's website with examples of writing: creative fiction and technical. On Tuesday 25th I attended the first Sir Jeremy Morse IGRCT lecture in the Reception Room of the Wills Memorial Building. The talk was entitled 'Did Aristotle recognise aesthetic emotion?' and was given by Professor David Konstan. It was entertaining and kept a nearly full room captivated for an hour. It's the first talk I've been to that included a two page handout of references. The talk debated whether Aristotle believed that the response from an artwork is real or imagined. For example, when you see a tragedy does it elicit actual feelings of pity and fear or something less real. We may feel fear in the theatre/cinema but we stay in our seats. When we experience art or beauty, it's felt rather than perceived. Emotional not rational. The Greek word closest to beauty is kalos but this only could be referred to women or boys. Not men, as the takers of beauty. The two major emotions of a traged: pity and fear, are translated in different ways. Pity is only felt for someone underserving of the treatment. When the enemy is killed, we feel pathos not pity. Fear is only felt for someone like us as we worry it will happen to us. Emotions have a moral context. 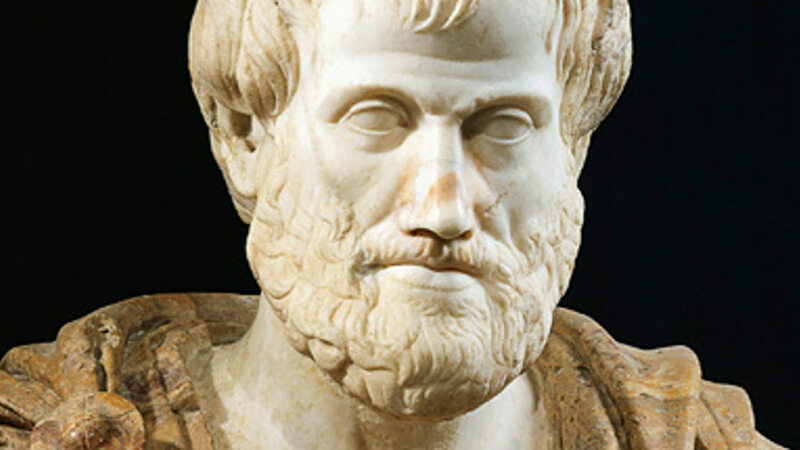 Aristotle said it is more powerful when things happen which are suprising AND can be explained from previous events. Stories are art even when lifr might form something resembling a story. To appreciate art you need to see the edges or the frame. Hence a play or film needs to be in a manageable format. How this measures up against the trend for binge watching tv and now theatre, I'm not sure. Perhaps because it fits within an evening? History tells you what happened. Stories tell you what could have happened or might happen. I attended a workshop on 'Rockets and Robots: Screenwriting Sci-Fi' at the BFI. It was run by Louis Savy and Darren Rapier. Louis is the founder and curator of Sci-Fi London. Darren is a writer e.g. Doctors. They work on films together. The morning was filled with Louis given a guide to making a sci-fi short on a budget. He gave lots of great tips and we saw some clips too. He advised using as little dialogue as possible. In essence, a short film is more about plot than characters due to the limited time to develop them. He gave Gareth Powell's winning entry of the 48h challenge as an example: Factory Farmed. Darren gave a great overview of writing. One thing that struck me was the discussion on the hero using both his male and femal side to overcome. (SPOILER ALERT). If you've seen Guardians of the Galaxy 2 you can see this in Quill first bashing up his day with his fists but then finishing him off using his heart. I spent a week at Arvon on a play writing course. It was lead by Evan Placey and Elinor Cook - two great playwrights as well as fabulous tutors. We also had a great visit from Tessa Walker from Birmingham Rep. We had workshops in the morning and some in the afternoon. The evenings varied from prepared readings to our final performances on the last night. The location was The Hurst, John and Helen Osborne's house in Shropshire. Anyone who believes they don't know it all should appreciate the benefit of CPD or conscious learning. So it was great to learn new things, forgotten things and hear things again. For our final night, I had to perform in half a dozen pieces as there were only 3 men. There were several actors on the course so it was incrediblly nerve-wracking to 'perform' with them or in front of them. We also had some great acoustic guitar music and performance poetry to complete a tiring but satisfying week.